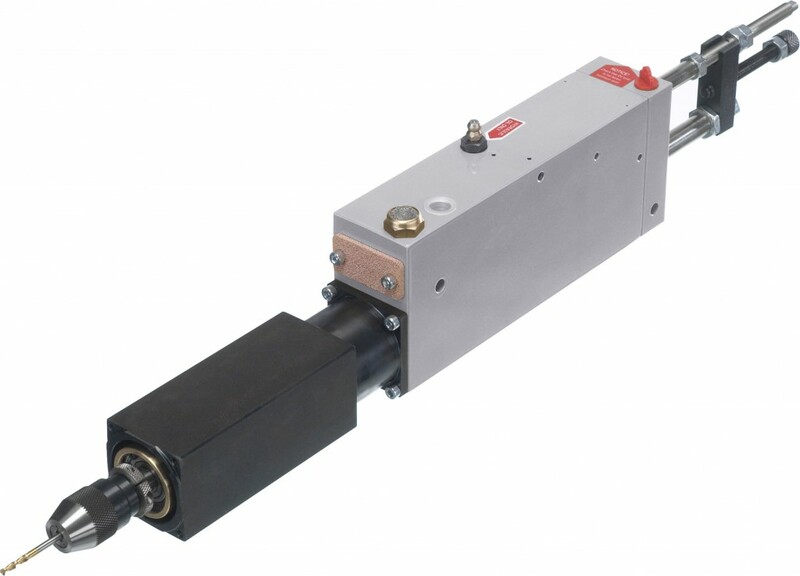 The basic design of the BE(f)P 22 consists of a vane motor powered by compressed air, a pneumatic cylinder, and a closed hydraulic system. The BE(f)P 22 has a precision chuck for an extra high level of precision. Thanks to precision, separate and double ball bearings run-out amounts to a maximum of 0.01 mm. The total stroke length can be variably subdivided into rapid advance and working feed across the whole range . The throttle/check valve in the hydraulic system permits exact setting of the feed rate and high speed return.